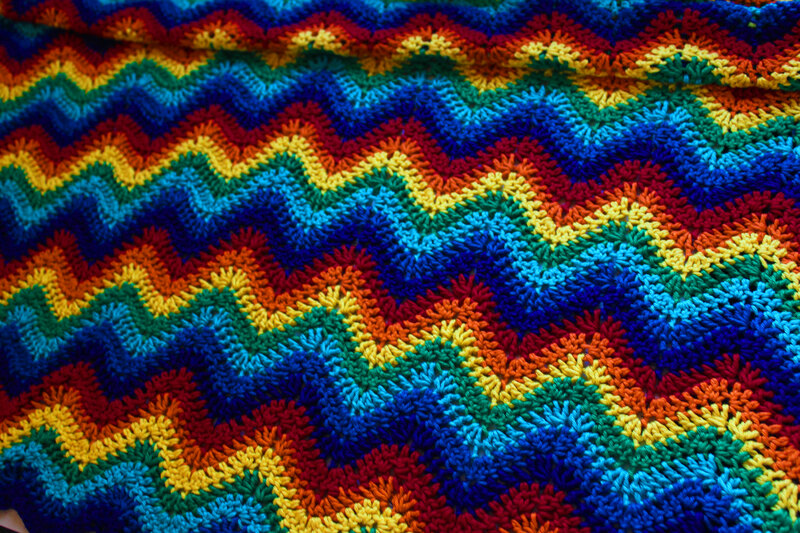 Miss Baby’s crocheted blanket is done! I’ve been working on this slowly since before she was even a thing. 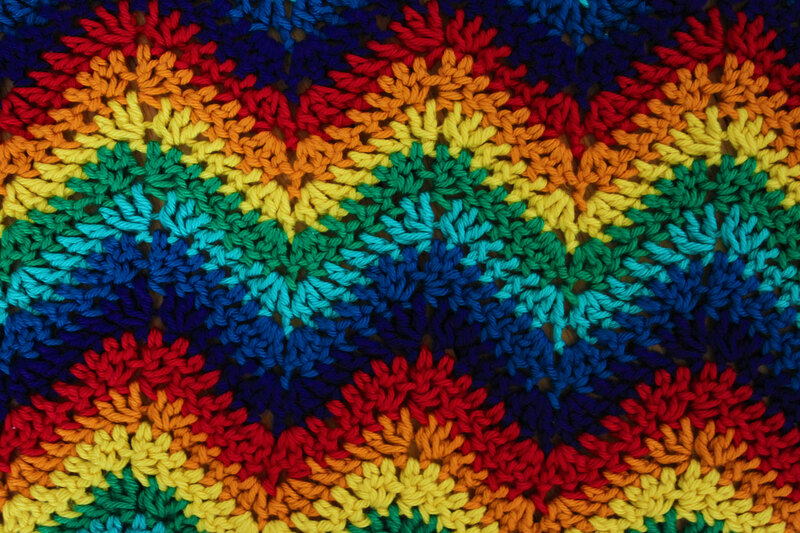 I saw the pattern on Ravelry (it’s from the blog LemondedeSucrette) and thought it would look so beautiful in rainbow colors, so I started it, assuming I’d need a baby gift for someone close at some point, then was (I confess) somewhat surprised a few weeks later to discover that I was the one who would have need for a new baby blanket. So I guess that worked out. 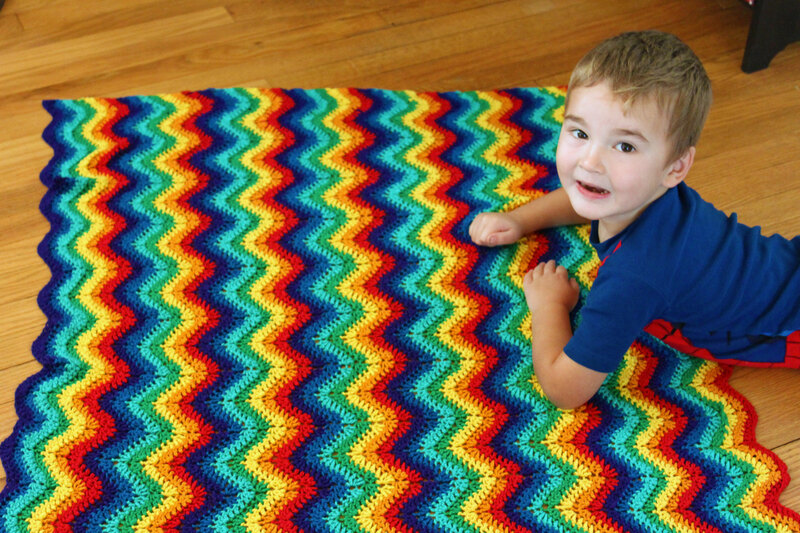 It’s made out of Knit Pick’s Shine Sport yarn, which is just perfect for baby blankets. I made a solid blue blanket with a cream band around it for Worth out of the same yarn when he was on the way. It’s just the right weight for draping over a baby in a car seat because the blanket puddles softly into all the little crevices yet is so soft and lightweight. I used the colors Serrano, Clementine, Dandelion, Macaw, Reef, French Blue, and Pageant. This has been one of those projects that makes people stop and look if I’m working on it out and about because the colors are just so beautiful. It’s hard to get a photo to do justice to all of them. The yarn is also wonderful because it’s machine-washable and doesn’t bleed; this blanket has already been washed in warm water and dried in the dryer so it is all ready to go. So I made the blanket a generous size (with Worth in the top photo to show scale) so I can use it to lay her on or to drape over her in the car seat, or wrap her up in it, as needed. It ended up taking two balls of each color yarn. Now I just need a baby to put under it!